Minutely hazy straw color. 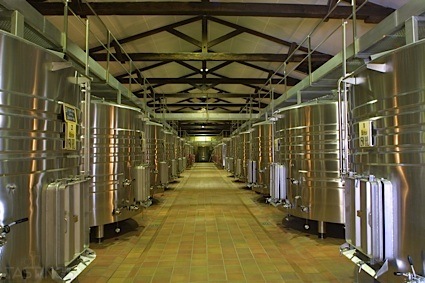 Floral aromas and flavors of wintermint, almond-anise cookie, bubblegum dust, and edible flowers with a supple, crisp, petillant, dry-yet-fruity light-to-medium body and a smooth, elegant, medium-long finish manifesting notes of cream soda, orange chiffon, and chalk finish. A crisp, sparkling mead with a snappy finish. Bottom Line: A crisp, sparkling mead with a snappy finish. 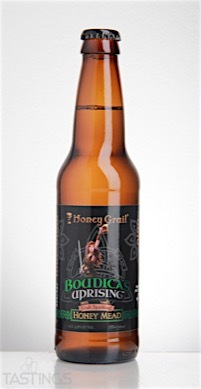 93 • Honey Grail Boudica’s Uprising Sparkling Mead 6.9% (USA) $4.69. Honey Grail Boudica’s Uprising Sparkling Mead rating was calculated by tastings.com to be 93 points out of 100 on 12/7/2016. Please note that MSRP may have changed since the date of our review.